If you’ve been following the site, you’ve probably picked up that I’m a pretty big fan of all things Green Lantern. 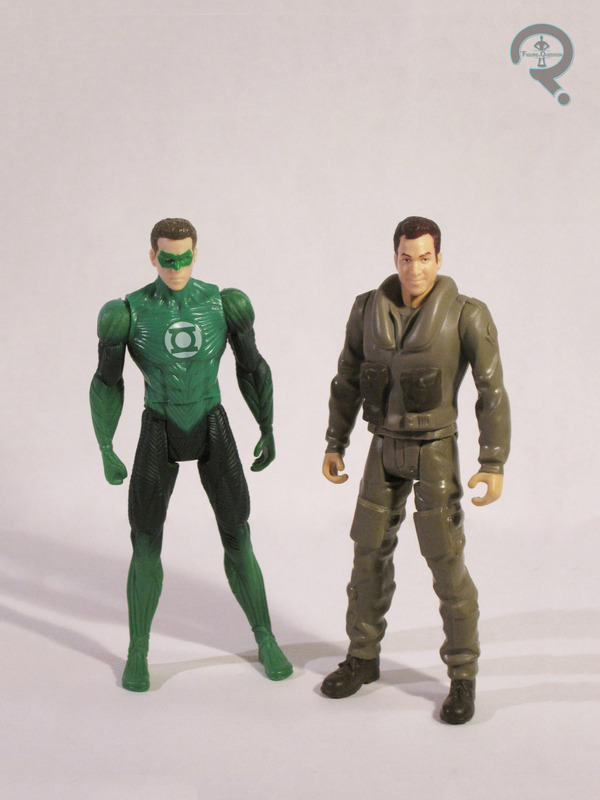 A little while back, I reviewed the basic Hal Jordan figure from 2011’s Green Lantern movie, where I noted that pretty much my only reasoning for purchasing the figure was because it was Green Lantern related. Well, today I’ll be looking at yet another entry from that line, which I purchased for pretty much the same reason. It’s the titular hero and his father Martin. The Green Lantern included in this set is identical to the one I reviewed previously, so I’ll just be looking at Martin this time around. Martin was released as part of a two-pack exclusive to K-Mart at the time of the movie’s release. The figure is based on Martins flight suit look from the movie. He stands about 4 inches tall and has 6 points of articulation. The sculpt is pretty much in line with the rest of the figures from the series. The likeness on the head sculpt is actually pretty good. The body isn’t terrible, although it is entirely inaccurate to the flight suit Martin wore in the movie, since they just reused the test-pilot Hal Jordan body. The paint has no slop or anything, but it’s incredibly basic, and quite drab. Which I guess is good because it fits right in with all of Mattel’s other offerings from the movie. He included a Ferris Air parachute, which was just kind of a cheap piece of plastic that I didn’t feel the need to hang onto for any particular reason. Like the Hal Jordan figure, this figure is a decent offering…if it had been released about 10 years prior. Mattel really phoned this line in, and it’s incredibly obvious. Plus, we got Martin Jordan in the 4 inch line, but not Hector Hammond, Carol Ferris, or Amanda Waller? Martin had less than 5 minutes of screen time, and it’s not like he had a particularly interesting look. I wish I had more positive things to say, but I really can’t think of any.